Having established their top flight pop chops right up front, “Organisation” then makes the effort to map out new territory for the group. “2nd Thought” sported a downbeat intro of unresolved, descending chords before the overloaded, flanged bass and gossamer “choral” patches joined the CR78 rhythm box in setting up the minimal song for maximum atmosphere. Melody was carried here by the insouciant vocal of McCluskey; who began to approach Ferry-esque crooning on this one. He dispassionately related a failed relationship as the song seemed to embody positivity and negativism in equal measures. The next song, “VCL XI,” was something entirely different. 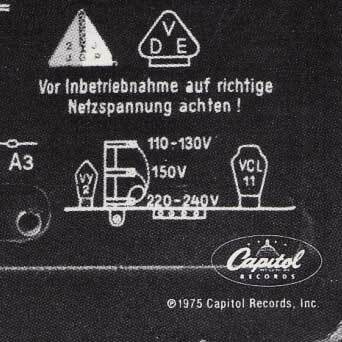 For sure, it was the second Kraftwerk reference on the album. Following the album’s title, this song took its name from a tube diagram [right] on the back of the “Radio-Activity” cover from 1975. Thus far, the album was moving in very different directions on each song. This one sounded like a mechanical wind-up toy full of jollity. The clockwork rhythm was steady. Organ chords added to the rhythm, and the cheerful timbre of the Pianotron [sounding much like a glockenspiel] suffused this song with a child-like naivety. McCluskey’s vocals here were almost whispered in a high register with unusual, jazzy phrasing sometimes coming to the fore of the song. In a way, this song telegraphed the band’s penchant for child-like melodies coupled with darkly contrasting lyrical content, though to be honest, after 37 years I still can’t make out what McCluskey was singing. Where the song really goes places was in its prescient evocation of glitch aesthetics. I really can’t recall hearing anything else like it this early on. The interplay of the bass and lead synth on the “chorus” soon diverged from synch to allow elements to float in and out of the mix at a random pace as the song developed. The basic beat remained steady, but sometimes it was embellished with additional rhythms on the off beat, giving the song the shambolic air of a machine trying its level best to provide a song but eventually breaking down. The coda eventually succumbed entirely to its own entropy as the song sputtered and hissed to its close. Before John Cleese could utter “and now for something completely different,” the next song was the fourth mood proffered in as many tracks. “Motion + Heart” was briefly mooted as the second single from the album, but saner heads prevailed and the decision was made to let just “Enola Gay” represent the album as a single. I understand why they thought that “Motion + Heart” was their closest thing to a second single here, but it would have been a bad choice to be the new public face of the band as it was the odd song out on this album. The borderline showbizzy tune featured fingersnaps and a bouncy shuffle beat that screamed “cabaret” and really, it was nothing more than a momentary outlier for this decidedly experimental band. The fact that the lead melody was piano over the synths said it all. Finally, side one ended with the song that best showed off the rapid maturity that the band had been evidencing between the debut album and this one. 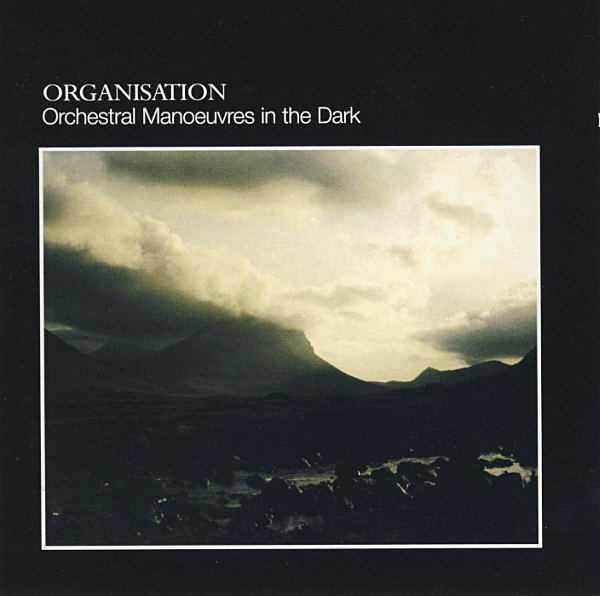 A subtle cha-cha beat from the rhythm box and still more delicate, descending chords quickly painted a picture of tranquil melancholy that soon became one of the defining traits of the OMD artistic point of view to me. “Statues” was a stunner of a song, with a haunting, insistent melody that was as dark and cool as the night was long. It was the kind of melody that could stick in my mind for the better part of a day as all of the playing of this song recently have all but assured. This one had all of the earmarks of a great Bowie instrumental tune from side two of “Heroes” with a delicate McCluskey performance on the vocals, which were written about Ian Curtis. OMD opened for Joy Division early on and their emotional and sonic influence was made apparent by the time of the writing of this album. The wordless middle eight was heartbreaking with its synth notes cracking and distorting like shards of sunlight briefly penetrating the curtains of a darkened room, only for the light to fade again. This entry was posted in Core Collection, Designed By Peter Saville, Rock GPA and tagged 1981, OMD. Organisation. Bookmark the permalink.